Flirty Cupcakes was one of the first cupcake food trucks that stormed Chicago. And, their success has been seen with the opening of their "Cupcake Garage" aka their very own storefront near the UIC area. You may wonder how they were able to run both a food truck and a bakery, but after tasting one of their cupcakes, you will immediately understand how. They have an incredible selection of flavors, with some out-of-the-ordinary creations that I love. The cake is near perfection and prices are student friendly. Unfortunately, with such amazing creations, their simple, plain cupcakes get left behind. And, those simple cupcakes are actually something I would never order again or recommend. So for that reason, I decided to give them a 4 mile rating. Fix those simple cupcakes and the rating can only go up! After stumbling across the mini variety pack, I was excited to be able to try 4 different cupcake flavors without overeating. These cupcakes are bite-size... maybe two if you are conservative. 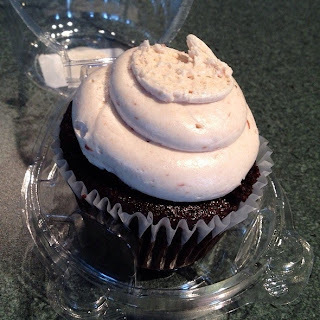 The first is the "Devil in Disguise," which was a red velvet cupcake with a cream cheese frosting. It was moist, soft, and had the perfect subtle chocolate flavor despite being red. I love cream cheese frosting and Flirty Cupcakes's is very rich and smooth. Delicious! The next is the "Paradise Island" which was a pineapple rum cake with coconut cream cheese frosting. This reminded me of a pina colada and was AMAZING. This was probably my favorite. "The McDreamy" cupcake was the third in the pack. This chocolate cupcake was filled with both a cream cheese and chocolate filling. Once again... a simple cupcake. Tasty, but nothing memorable. Last, but not least... actually yes least... was the salted caramel cupcake. I think this one was a "special flavor" because I usually do not see it on their menu. It honestly was just a chocolate cupcake with a caramel frosting. I didn't notice any salted flavor, but maybe it was just me. This cupcake was made with a chocolate cake base, a raspberry cream cheese filling, and a raspberry cream cheese frosting. The cake was moist and rich. The raspberry flavor was actually very prominent with both the filling and frosting featuring the fruit. The size is like a typical cupcake... nothing oversized like some of the other bakeries in the city. I really enjoyed this cupcake. - I really like the mini cupcake variety pack... but it is a little expensive. But I suggest getting it because you can try a lot more cupcakes! 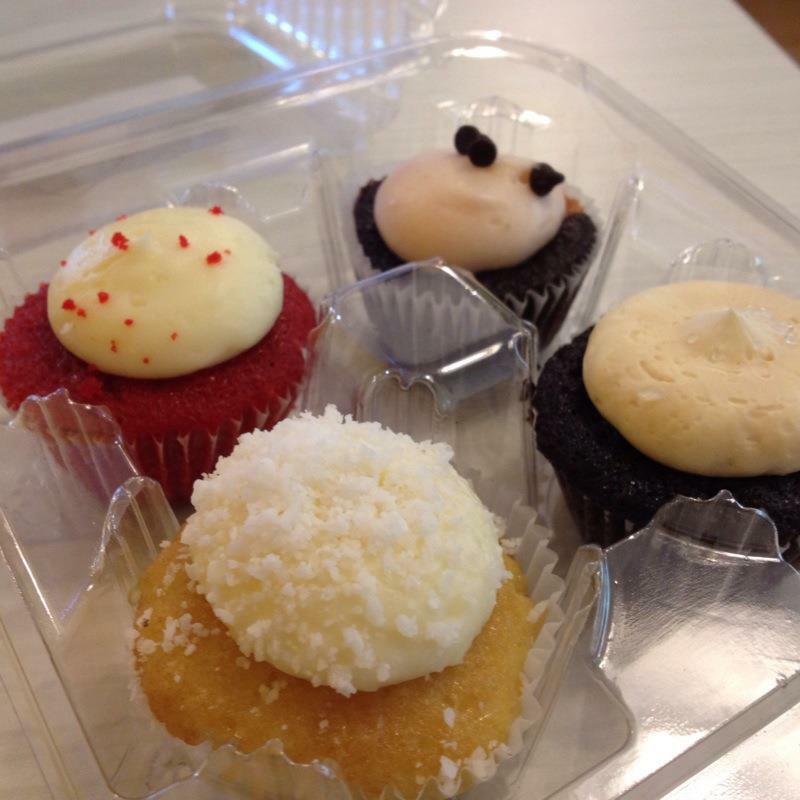 - The plain cupcakes are just OK... be adventurous, don't choose the vanilla or chocolate plain.